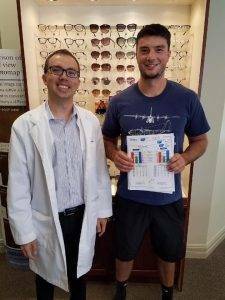 Clio, Michigan- This impressive young man, Sam B., needed to confirm that he would qualify to enlist as a Navy pilot despite his hereditary color vision deficiency. The United States military only accepts digital test for color vision status. 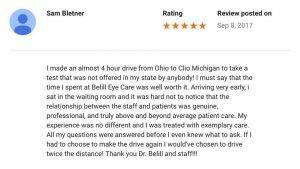 He was referred to Belill Eye Care to receive the necessary testing, since our office is one of the few in the Midwest region that possess the technology. Dr. Belill has used the color vision analyzer for years to assist in the diagnosis and treatment of various eye diseases. 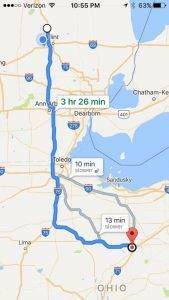 Sam completed the almost 4-hour drive from his home in Ohio to our office in Clio, Michigan. Thankfully, he received a passing score for color vision ability, and will be able to fulfill his dream of becoming a Navy pilot.